by Arthur Goldstuck (@art2gee) The latest study on internet access in South Africa reveals extensive fault lines across geography, race and income. The good news is that the South African internet user population passed the 20m mark for the first time last year, reaching 21m, and is expected to grow to at least 22.5min 2017. This means that more than half of the adult population is now connected. The bad news lies on the flip side of that same coin. The report includes data supplied from the Target Group Index (TGI) survey conducted by Ask Afrika, one of the largest market research organisations on the continent. TGI comprises more than 15 000 interviews across a vast range of consumer topics and behaviours. The analysis of this data reveals that, among adult South Africans earning more than R30 000 a month, internet penetration is at 82.4%, on a par with overall penetration in many industrialised countries. However, penetration declines rapidly as income declines, falling to 61.3% for those earning between R14 000 and R18 000, 42% for those earning between R3 000 and R6 000, and below 30% for those earning below R2 500 a month. This is merely the most obvious divide, as one would expect access to be associated with income levels. However, it highlights the extent to which lower income South Africans are frozen out of the internet economy. The research shows that a third of adult internet users rely on their cellphones as their primary means of access. For low-income users, internet access requires data costs to be taken off airtime, and those costs remain among the highest in the world. High-income individuals tend to buy data in large bundles, which brings the cost down dramatically, to the extent that their data costs compare with some of the lowest in the world. However, this obscures the high cost of data for the rest of the population. Education is also a barrier to internet access, with less than 20% access among all segments that have below Grade 7 education. Fewer than 40% of those with less than a Grade 11 education have internet access, but it rises rapidly after that: with a maximum Grade 11 education, it goes up to 48.7%, Grade 12 goes to 55% and, of those with a post-matric qualification, it reaches a high 71.6%. A digital divide also exists between major metros and non-metro areas, and between different cities and provinces. The Western Cape has by far the highest internet penetration of all provinces, at 75%, followed distantly by Gauteng at 55%. This is believed to reflect the extensive local initiatives in towns such as Stellenbosch and Somerset West to increase coverage, as well as an earlier start on provincial connectivity initiatives. Unfortunately, says Sha, when one looks at internet penetration among the various races, it is also clear that SA a long way to go to overcome the inequalities of the past. Arthur Goldstuck (@art2gee) heads up World Wide Worx and is editor-in-chief of Gadget, a personal technology magazine. 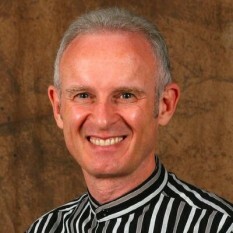 He is a consulting editor to MarkLives.com and our media tech columnist. This article has been republished from Gadget.